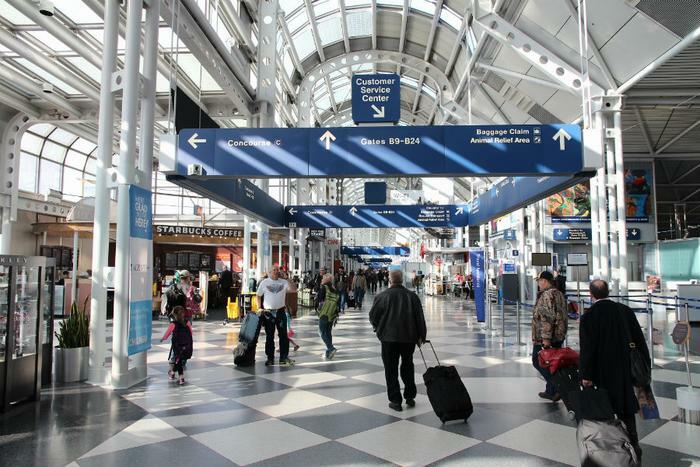 Public health officials say a passenger arriving on an international flight to Chicago’s O’Hare Airport last Wednesday, January 10 may have exposed some people in the airport to measles. “People who were at O’Hare between 6:30 a.m. and 1 p.m. could have been exposed” to the passenger’s highly contagious disease, the statement said. The Department of Health confirmed that an unidentified passenger that flew into the airport from another country tested positive for the disease. The traveler was in multiple terminals of the airport before boarding a second flight from Chicago to Little Rock, AR, WTVG reports. Health officials stress that there is no current risk of a public outbreak. Individuals most at risk are those who were also in the airport during that time and have not been vaccinated. “Most people have been vaccinated routinely in childhood and are not at high risk...of most concern are people who have not been vaccinated,’’ the statement said. Measles is a highly contagious disease caused by a virus, according to health officials. The virus is easily spread when an infected person coughs or sneezes. Measles can cause serious complications such as pneumonia and encephalitis (swelling of the brain). Symptoms include a rash that starts on the face and neck, a high fever, runny nose, cough, and red, watery eyes. The rash generally appears about 14 days after exposure, but symptoms could come on as late as January 31 if you were exposed to the passenger’s virus on January 10. People who think they may have been exposed are advised to contact their health care provider right away. Be sure to call first and arrange for an exam to be done in a place where others will not be exposed so you don’t infect anyone else.